Gilberto Perez Jr. grew up listening to and learning about other people. Those experiences helped make him the man he is today – and also pointed him toward his life’s work. Perez grew up in south Texas. His parents regularly opened their home to people who were fleeing threats and violence in their home countries in Central America. 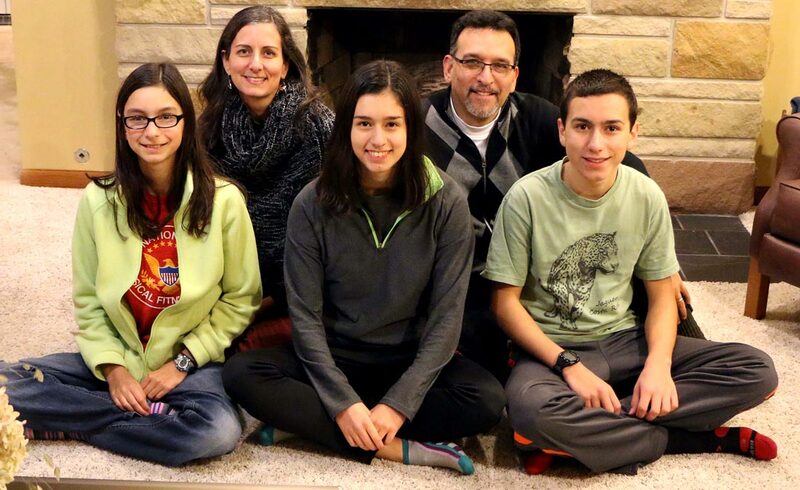 The Perez home was a stopping point for newcomers who were heading north. “Our new friends’ faces reflected joy when we took time to listen as they told their migration stories,” he said. Over the years, listening and learning have guided Perez’s career as a therapist, educator and administrator. 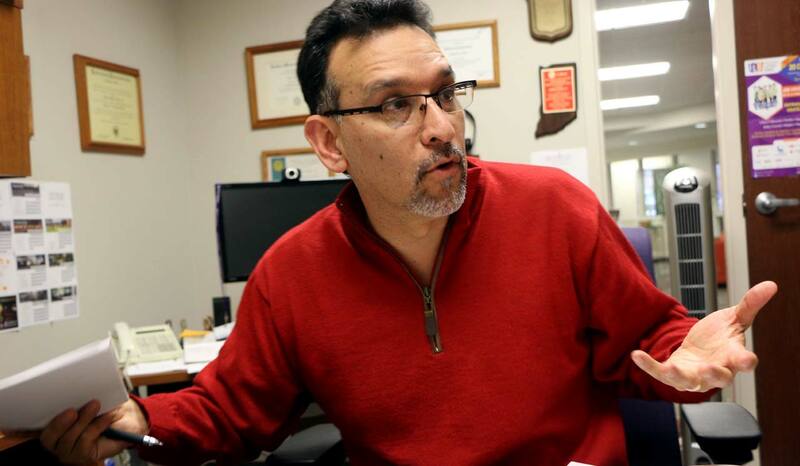 As for his work at Goshen College, add another “L” to Perez’s mission: Leadership. Some conversations are difficult to start, and some questions hard to ask. Like, for instance: Who are the people we need to lead us into a better future? What do they need from current leaders? And who will teach and guide them? These are the questions that Perez grapples with on a daily basis. 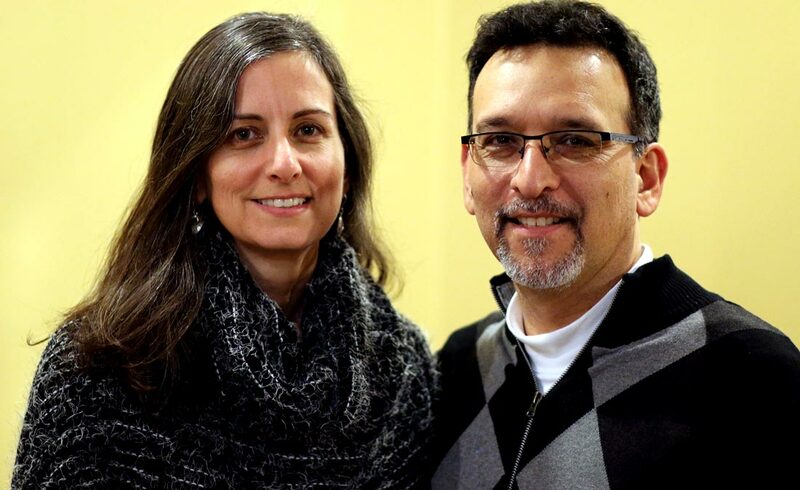 Perez is Senior Director of Intercultural Development and Educational Partnerships at the Center for Intercultural and International Education (CIIE) at Goshen College. 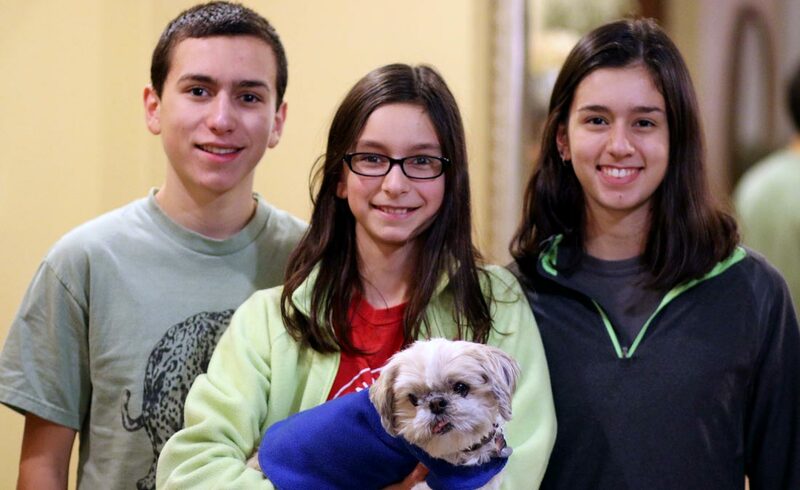 CIIE’s impact is felt in Goshen and also well beyond the Maple City. 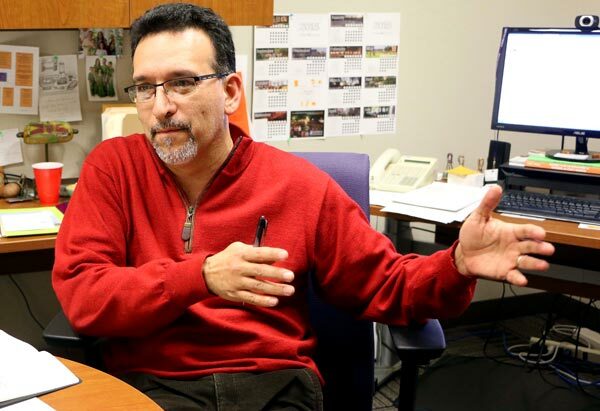 Part of Gilberto’s mission at CIIE is to create a more diverse and inclusive culture within Goshen College’s campus life. “We create ways for students, faculty, and administrators to enter ‘difficult spaces,’” said Perez. Talking about race, institutional racism, and oppression can be difficult, but Perez and the CIIE staff want to know how students of color on campus feel. “We want to know if they feel welcome or not,” said Perez. “We have students who actively ask the college how they work at creating space for people of color to serve in the institution,” said Perez. Due in part to CIIE’s efforts, the Goshen College community is becoming increasingly diverse. CIIE offers mentoring and leadership programs. 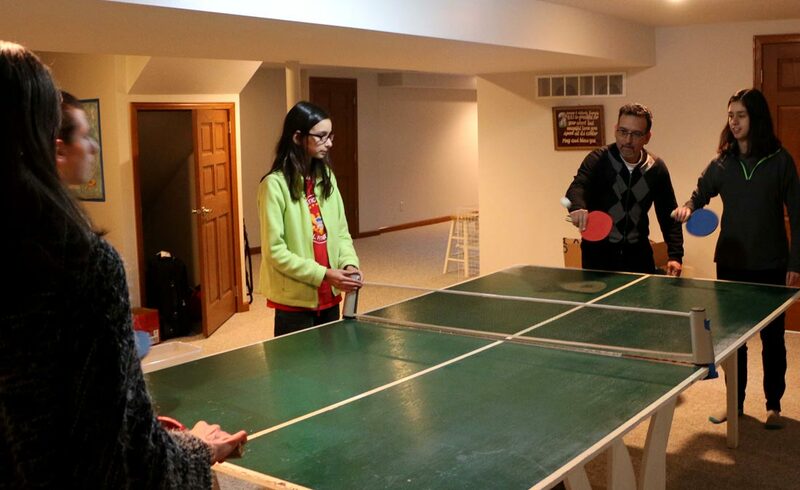 They focus on empowering students and fostering self-confidence. 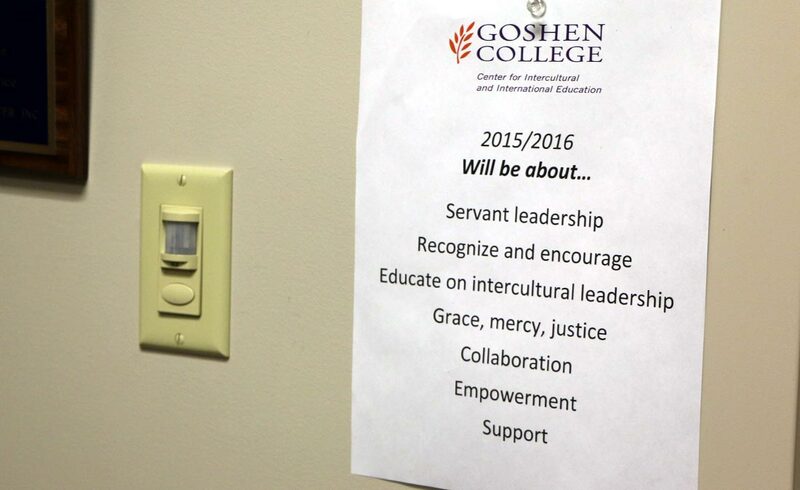 Now at Goshen College, leadership by minority students is on an upward trend. CIIE also reaches out into the Goshen community. The center offers community language courses on campus and runs a support group for local Latina women focused on building self-esteem and effective parenting. 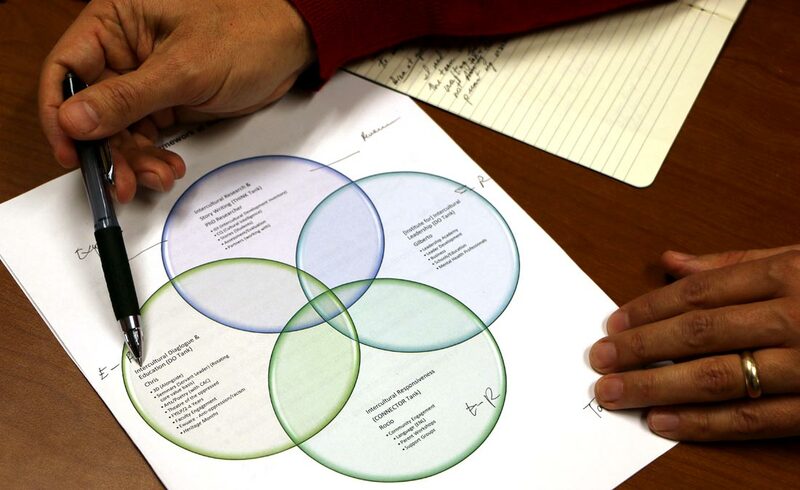 One of Perez’s key goals at CIIE is to help usher in a new generation of community leaders. CIIE encourages students to view themselves as leaders, movers, and changers. Crucially, that effort also extends to people outside GC. 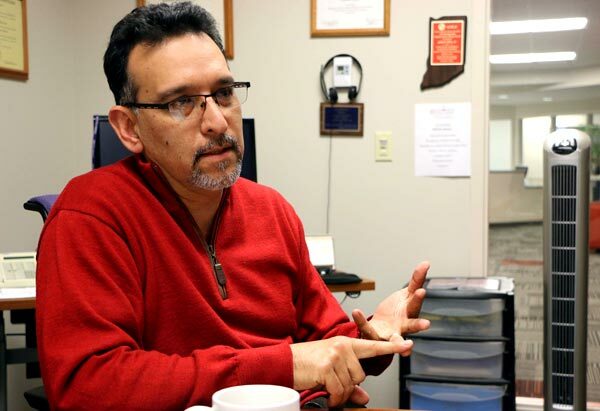 In addition, Perez has worked with Goshen High School students to create an intercultural youth leadership academyto prepare the next generation of leaders. He proudly points out that one of the academy members was instrumental in getting out the vote in the recent election. The CIIE’s outreach has an influence in Goshen, and also around the world. College students study abroad for a semester in countries such as Peru, Nicaragua, China, and Cambodia. CIIE’s Institute for Intercultural Leadership is exploring a partnership with organizations in West Africa. CIIE has partnered with organizations that work with Latinos, African-Americans, and Asian-Americans in Indiana, Iowa, Texas, and Pennsylvania. Close to home, Perez sees the fruits of their labor. In the past two years, Goshen College has been intentionally welcoming an increasing number of Latino students. Perez points out that the college went from having a Latino student population of 4 percent in 2007 to 18 percent in 2015. The college also went from having an 18 percent Latino first-year class in 2014 to 30 percent last year. 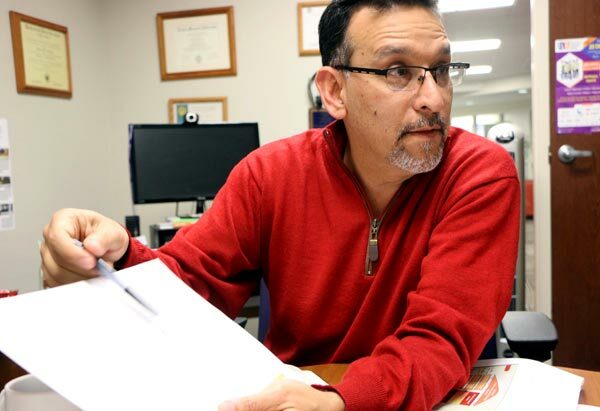 “Our work is helping to create more opportunities for Latino people to view themselves as professionals – we want to help them see themselves as education majors, graphic designers, to see themselves as servant leaders of our community,” he said. Perez cites a recent example of how GC’s motto of “Culture for Service” was put into action: During finals week in 2015, Perez and nine students traveled to Elkhart to clean up the yard of a man who wasn’t able to do the work himself.